Can you contribute to our focus group? Home / News / Can you contribute to our focus group? Are you aged 14 – 22? Do you live or work in or near Winchester? Do you visit the city for shopping or leisure? 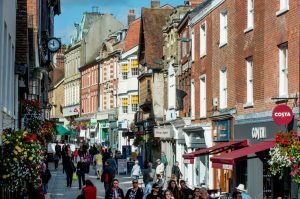 Winchester BID and The Brooks shopping centre are holding a focus group on Wednesday 22nd February (half term) and we would love for you to spare two hours between 10am and 12pm to share your views about the city with us. The group chat will cover topics such as what young people do and don’t like in Winchester and their shopping habits and preferences. We will provide tasty treats on the morning and each participant will get a small gift to thank them for their time.